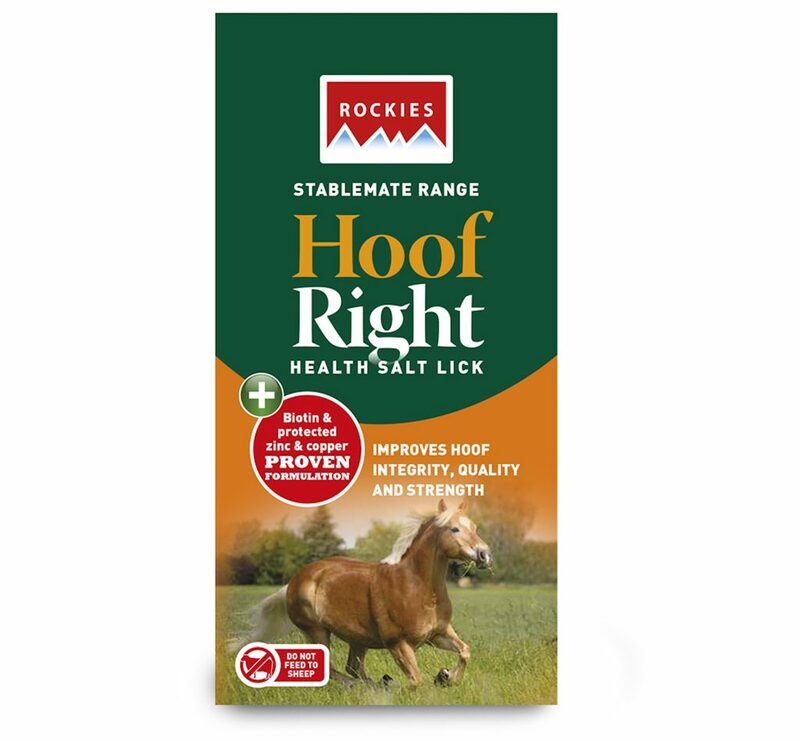 Rockies has launched its new Hoof Right lick- a high quality, molasses free, calorie free lick that contains carefully selected ingredients to support hoof health and hardness. The 2kg lick contains high levels of zinc, biotin and copper, to support hoof health, growth and condition. The zinc is supplied in three different forms (two of which are protected), and four different types of copper have been included (two of which are protected). Together, the ingredients work to promote the synthesis and maintenance of connective tissues in the hoof, support quality growth and hardness, and support the strength and integrity of the hoof. As the formula is molasses free, it can also be offered in a free access manner. Hoof Right is made in Rockies’ Cheshire factory, using the highest quality raw materials. These ingredients are formed into blocks using high pressure presses that remove the need for binders and molasses. It also means that licks are durable and really last. 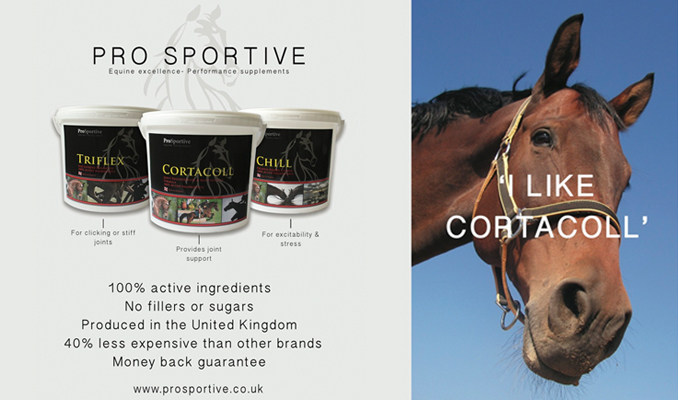 The lick has an aniseed flavour to ensure palatability and will last the average horse for 40-60 days. Hoof Right has a RRP of £9.99. For more information, see www.rockies.co.uk, email info@rockies.co.uk or call 01606 595022.